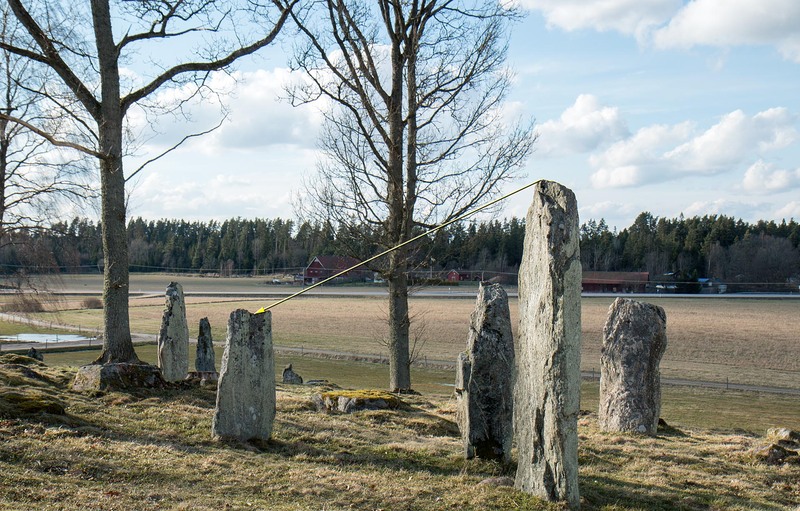 On the summer solstice the shadow cast by the higher stone moves across the lower stone, which stands 3.4m away. The gradient of both the higher and the lower stone are in good alignment with the sun’s path. The passage of the shadow is exactly correct the day of the summer solstice. The shape of the lower stone is different from stones in other other sun lines. Could there be some thought behind this? The shadow can be seen today. 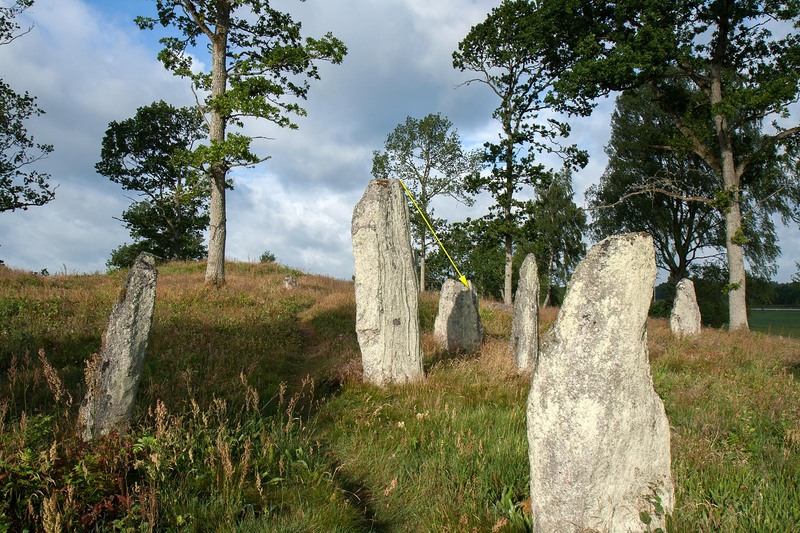 Since the sun’s path change just a little around the summer solstice the shadow passage is almost completely correct for several days before and after the summer solstice June 21st, between 06:45 and 7:20. Note that the sun today has approximately 0.2º lower path in the summer compared to the Late Iron Age.